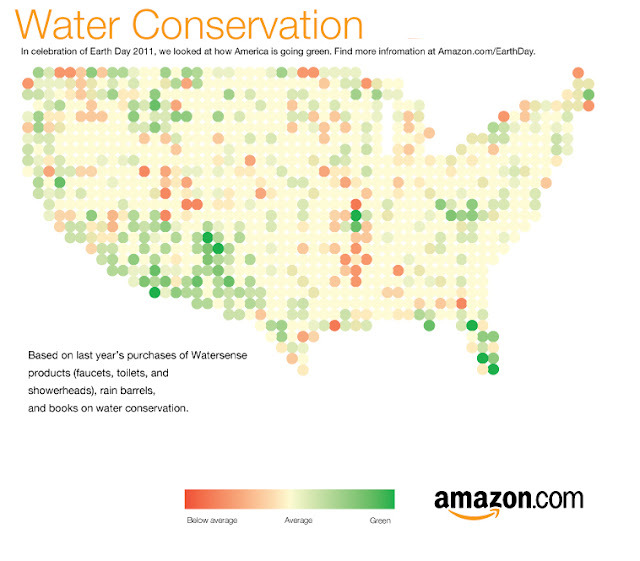 Green Topics - How to Go Green: Where is America Green? DC politicians and lobbyists-will go on amongst their lives and continue to return this country to greatness. 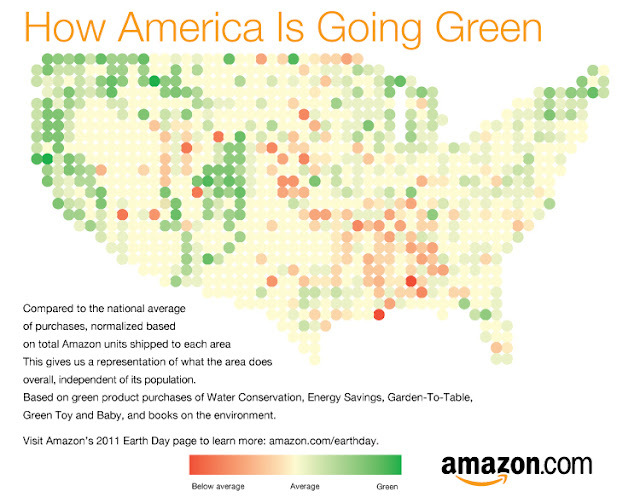 One satisfying picture of America in the past few years shows that America is slowly becoming more Green. Not sure if this is because Green products can save you money in the long run and thus are considered a better buy in a recession or because there are now more Green products than before so each American can make a Green choice for many products they buy. We are happy it is happening at any rate and feel the Green products choices will continue and grow. 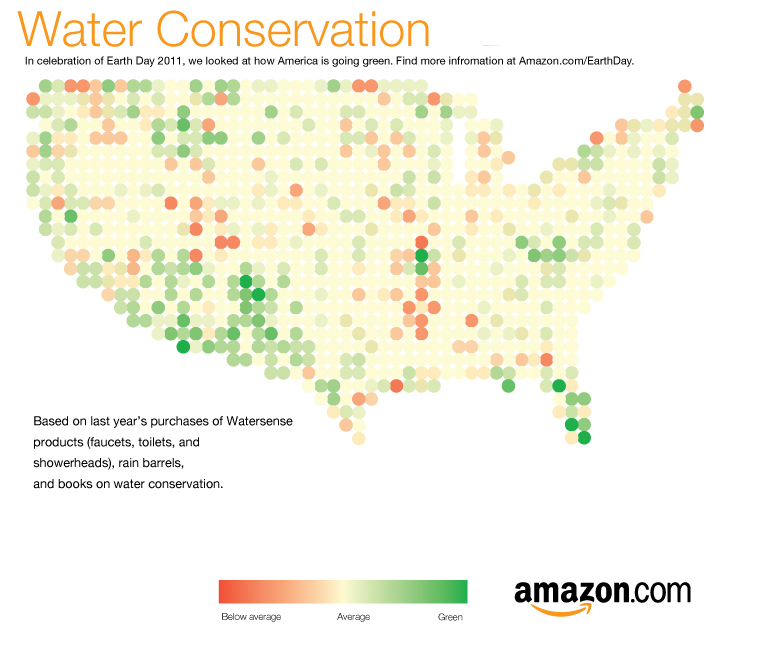 Here are some interesting images from a study by Amazon that shows where they consider the Greenest parts of the country based on purchases of Green goods.